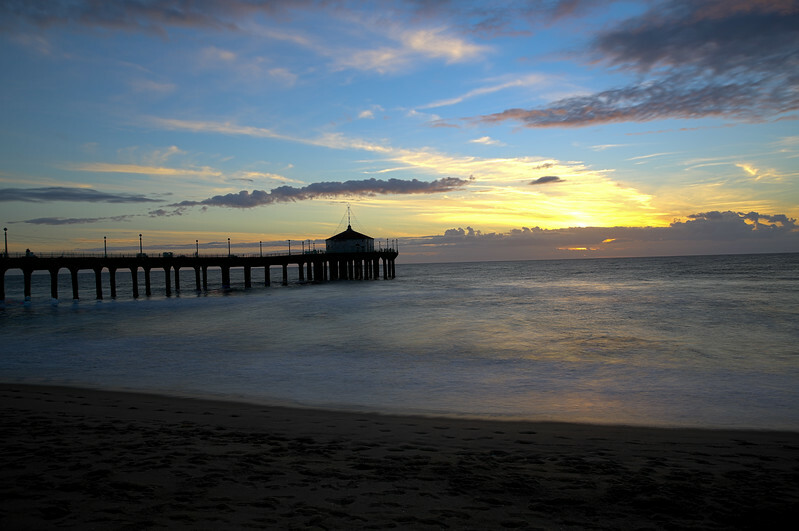 Manhattan Beach is the quintessential Los Angeles beach town, a little oasis tucked away from the big city. We're a small community of 35,000 folks, flanked by the Pacific ocean, and the theme everywhere is waves, water and an ocean breeze. The average daily temperature is 78 degrees. What to do when visiting? It's a question we get a lot, and will try to answer here. Start by watching our "Manhattan Beach Minute" video. Now, in a few words here's our tips--walk by the beach and through downtown, have a swim, enjoy a nice lunch or dinner downtown and catch the free nightly show that is our colorful sunsets. And don't forget to add some movement by renting bikes, roller blades or a surfboard. Hermosa Beach, Redondo Beach and Palos Verdes is to the left of Manhattan Beach, while El Segundo, Playa del Rey, Marina del Rey, Venice, Santa Monica and Malibu are to the right. The LAX airport is 3 miles away. A Day in Manhattan Beach We'd start our day with breakfast at the Kettle or Uncle Bill's Pancake House, two longtime cozy and colorful neighborhood hangouts. The Kettle is on the corner of Highland and Manhattan Beach Blvd., and Uncle Bill's is two blocks up the street on Highland. Next, walk around town and enjoy the shops, or better yet, head down to the Strand, the 13-mile car free walkway, and enjoy the view by the Pacific Ocean. 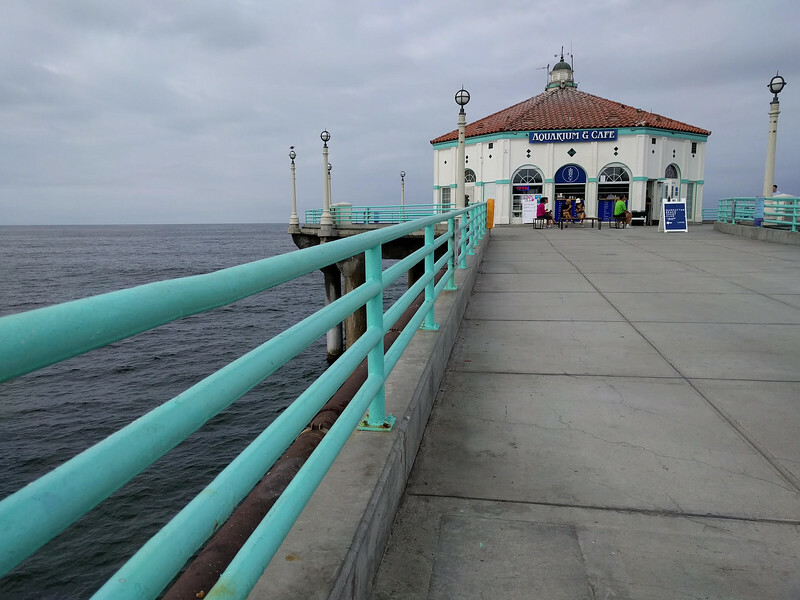 Walk out our fabulous Manhattan Beach Pier and visit the Roundhouse Aquarium. If your hotel has rental bikes, all the better--if not, you may have to walk (or Uber it!) 3 miles to Hermosa to the closest rental shop, Hermosa Cyclery. Now that you have a bike, ride up to El Porto and have lunch at the Surf Food Stand. It's the only restaurant we know of that's right on the sand. Rest at our library, Starbucks, Peets or Coffee Bean and get ready for dinner. Old Venice is our favorite local restaurant--but there are many great ones for families and foodies. Those include MB Post, Little Sister, Fishing with Dynamite and the Strand House. At those places, expect to make reservations to get in. Where to stay: We don't have a lot of hotels in town. Near the water: Sea View Inn or the pricey Shade Hotel. On the other side of busy Sepulveda is a Best Western, Marriott (now called Wind Drift) and the small, boutique hotel the Belamar. The hotels on this side of town are walking distance to the beach, but it will take you a good 30 minutes to get there. Walking: It's free. 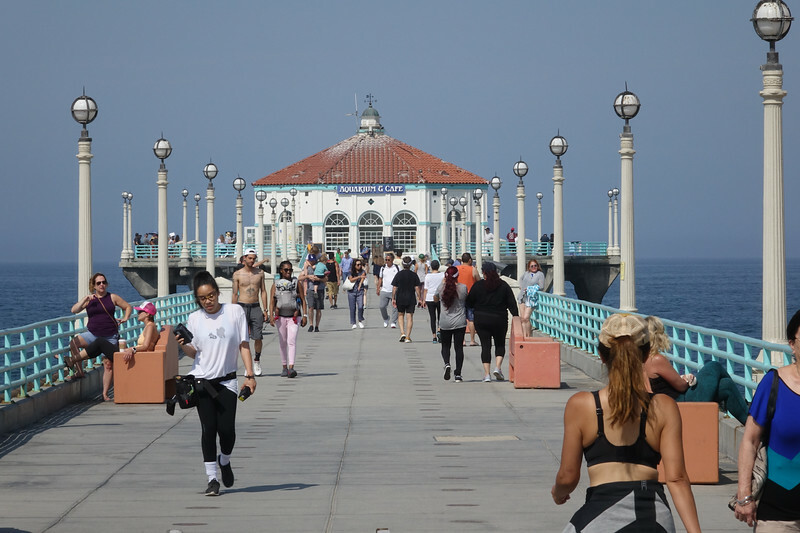 The Strand path by the water runs 13 miles, from Redondo Beach to Marina del Rey. The best views are from Manhattan to Redondo. Parking is challenging downtown --meters run from 8 a.m. to 10 p.m. (they accept credit cards) and there are lots by the Pier, Library and in town, but they fill up quickly. Our advice--arrive early to nab a spot. Valet parking is offered downtown evenings, and the city of Manhattan Beach now offers the Downtowner for free shuttle rides. Bike and surf rentals--Funn Buns has closed, so there's no place in Manhattan Beach to rent bikes. You'll have to go to Hermosa and the Cyclery. The city they sometimes call MB is divided into three main sections: the Sand, Hill and Trees. The first offers life at the beach, either on the Strand or nearby, on a quiet, and homey walk-street. No. 2 gives you a killer view from above, looking down at the water, and then finally, there's life in the trees, in neighborhoods that are a short walk down to the sand. Many of our engagement and family portrait shoots are down at the beach, where everybody is always in a good mood!